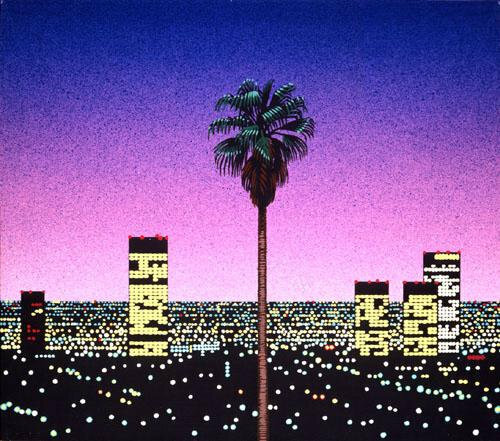 Lindsheaven Virtual Plaza alongside many other artists made the golden age of vaporwave. Their place in the golden age is making music that combined modern sounds with lo-fi production work. Take a look at “Weather Scanning”, that thing made Amy Winehouse look like it came from the 70s. Thought they may have released a few projects, their legacy in vaporwave is well deserved. This is one of them, “Daily Night Euphoria EP”. Their trademark sound is intact on here; everything sounds as crunchy and filtered out as when they first started out with many tracks feeling like INTERNET CLUB on steroids. These tracks are an adventure through time and nostalgia making you remember something that you probably never even experienced in the first place. Nostalgia is normal in people who lived during the golden age but having nostalgia that isn’t your own is very common in vaporwave and they are the masters of making you feel nostalgia real or fake. The vibe here is funky and high-energy enhancing that feeling that you probably will feel throughout the album. This isn’t slowed down music pitched down; no, this is fast tempo and high stakes music. Everything about it will make you dance even though it’s lo-fi and distorted and the best part about it is that they are consistent with it. They make the tracks mesh with each other making for one long continual nostalgic dance session that you never want to end but unfortunately will end. 3 years later, this project is still a bright spot in their discography of many bright spots. This is good if you want to vibe out and feel nostalgia either fake or real; that high energy combined with distorted low fidelity is something you will crave and nobody does it better than Lindsheaven Virtual Plaza. I was on Bandcamp scrolling through pages and pages of brightly colored albums and the art for Daily Night Euphoria immediately stuck out to me. 10 seconds into the first track IBM Lotus Night and I bought the download. 3 or 4 days later of listening to it I bought the cassette. Just like the album art, the music transports me to a nighttime neon cityscape.